Children crave a sense of belonging. Parents need to know that their child is safe, nurtured, encouraged and challenged to excel. Signet Christian School offers families a caring and supportive educational environment that prepares each young mind for a bright future. From Junior Kindergarten to Grade 12, our balanced and holistic curriculum seeks to develop our students’ full potential, encouraging their intellectual, spiritual, physical, emotional and social growth. All religious or non-religious backgrounds are welcome. Please, explore our site and find out why Signet Christian School is the right fit for your family. Our teachers are committed, enthusiastic, supportive and deeply invested in every child’s progress and potential. Our teachers take the time to know their students and tailor lessons to suit the individual and all learning styles. Our teachers are highly qualified, many with 10+ years of teaching experience. Promotes individualized attention, so our students feel valued and gain confidence. Allows teachers more time to address individual questions and/or explain challenging concepts. Helps teachers identify learning or emotional issues, ensuring that students receive the support they need. Enriches and encourages class participation, interaction, collaboration and cooperation. Academic as well spiritual instruction: Ontario Ministry of Education curriculum from a faith-based foundation. Christian principles actively taught and form an integral part of daily life at the school. A challenging and supportive academic approach that nurtures every student. Individual Education Plans (IEPs) to accommodate struggling learners as well as gifted students. Traditional curriculum within a student-paced, flexible context. Extracurricular activities include music, arts, drama, and athletics. “We are thankful to God that our son has been attending Signet Christian School these past three years. 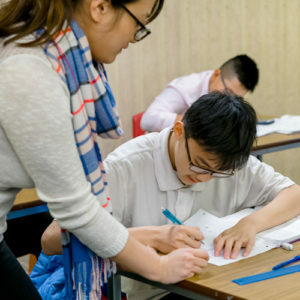 Our son needed more individual help, so the smaller class size means he receives more individual assistance from teachers, and it gives him the space to discuss and develop his own thoughts. In turn, this also helps build his confidence to learn. We can see that he is benefitting from his Signet teachers, all of whom have caring and kind hearts like Christ. We promise not to give your contact information to anyone else. To Email us, please complete our Contact Us Form. DVP and Hwy 404; walking distance from Bessarion Subway Station between Bayview Avenue and Leslie Street. March Break and Summer Hours.